Amongst the other restaurants that are stretched along the ground floor of the new Gandaria City mall, White Hunter surely makes its presence seen due to their vast space and their decor, a mixture of cool and warm ambience and also mainly because they have an impressive bar on show. The other side of the restaurant focuses on comfortable diner-style booths. I must say, whoever arranged the lighting for this restaurant, Kudos to you. White Hunter is mainly inspired by the South African style of eating good barbequed ribs wherein the bigger and longer the ribs,the better. Truth to be told, White Hunter has got to be the place that serves the largest slabs of pork ribs in Jakarta. The large long slabs offer 2 different type of textured meat in the whole slab. Half is the darker meat that is very close to the bone and is so tender that it literally falls of the bone, while the other half is a lighter meat that is a bit juicier. After eating the whole meal you will be shocked to find that there are 5 pieces of 20 cmbones on your plate. You know you are having the jumbo version when you see 10 or more bones after you have finished your meal. Besides the impressive sheer size of the ribs, the key ingredient to their delicious ribs is the sauce. The White Hunter sauce is not overwhelming in terms of sweetness and smokiness, as the base is a reduced red wine sauce mixed with barbeque sauce and of course a couple of their secret ingredients. From their grill menu we recommend the Sniper Steak, which is basically a good quality sirloin, especially delicious with their special wine sauce that gives a tangy kick with a combination of fruity wine flavours. All the ribs and grill menu items come with your choice of sauces and side dishes. Whiter Hunter also serves baby back ribs, safari ribs and even beef ribs for those who steer away from pork. White Hunter features a variety of appetisers on their menu such as lamb samosa, chicken wings and many other starters that you would find when you are at a typical grill. If you are looking for something vegetarian, Spring Enoki is definitely a good choice. Forget onion rings or deep fried champignon mushrooms, Enoki mushrooms area vegetable that should be battered and deep fired. We also recommend their beef and chicken fajitas that are served with their delicious homemade salsa. As for the pasta selection, it would have to be the 'Wild Honey' Pesto spaghetti cooked to perfection al dente, with fresh whole basil leaves, prawns and very generous portion of parmesan cheese. 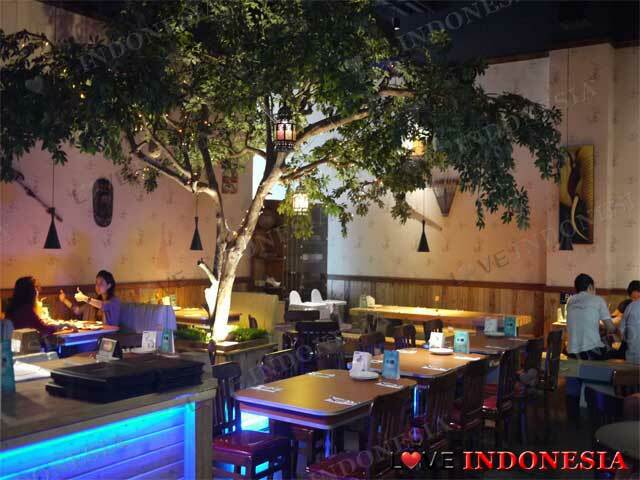 At first glance of the venue and the menu, people often mistake White Hunter to be part of a successful international chain restaurant, but this place is 100% Indonesian, with local owners who have a strong obsession with pork Ribs and decent beef. 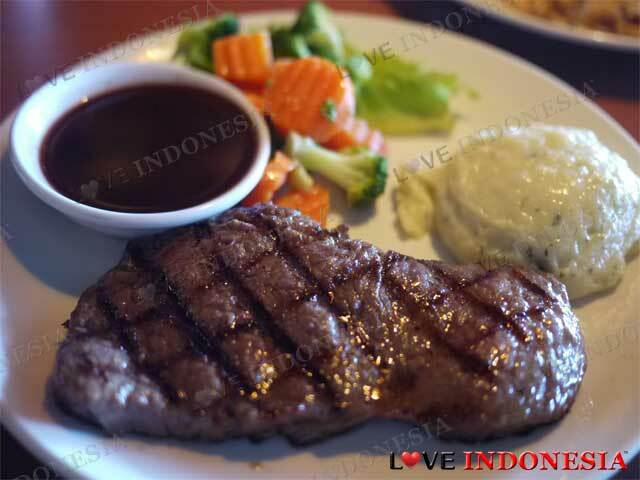 Which definitely makes us think, Indonesians can surely grill some seriously good ribs and steak. the ribs is really yummy, good combination with tea modjo (sorry if spelled wrong), there is a show car inside, that really make them unique..
uncleared non smoking area, tough steak too! Jika anda bukan perokok, pikirkan kembali untuk makan disini! Ketika hendak mencari kursi, saya tanyakan: dimana non smoking area. Pelayan menunjukkan ruang dimana non smoking area. Namun ditengah2 saat makan, tau2 ada seorang artis yang tidak tau aturan, merokok di ruangan yang katanya NON SMOKING!. Ketika kami komplain kepada pelayan soal hal ini, dia bilang: kalau di bar memang boleh merokok. Whattt??? Meja bar dan meja makan berjarak hanya 2-3 meteran saja! apa bisa bau dan asap rokok dibendung tanpa pembatas kaca dan jarak hanya sedemikian dekat??? Dan nampak sekali! Karena yang merokok adalah artis...(enno netral) maka pelayan tersebut tidak berani menegur! Mengecewakan sekali. Selain itu, steak nya pun keras! benar benar bukan referensi untuk tempat makan! What is near "White Hunter"?